Poor starfish. 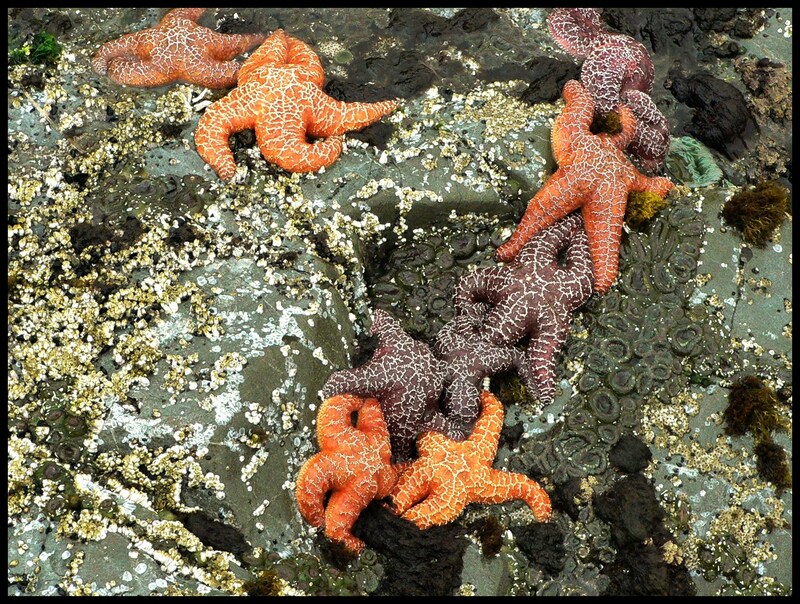 As if they don’t have enough problems escaping predators: sea otters, crabs, gulls, fish and other cannibalistic starfish species; now they are subject to ‘Sea Star Wasting Syndrome’ killing them off up and down the Pacific coast. Noticed their almost total disappearance from one of the marine parks in the Lower Mainland a couple of months ago. Over at Tofino on Vancouver Island, however, they appear bright and healthy. What a pity I didn’t know. But nice pictture! It may just be a result of over abundant colonies and they’ll return to normal after the die off. I love this image. Those are the prettiest star fish I have ever seen! I am so sad to hear about their plight 😦 I am hopeful that you are right and that this is just a ‘over colonization’ adjustment.